Window signs come in many forms such as coloured vinyl cut graphics and lettering, digitally printed graphics, interior hanging banners, signs or posters, cling film panels and frosted vinyl graphics. 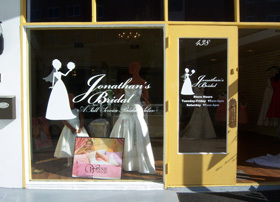 Traditional hand painted window signs have mostly been replaced with computer precision cut vinyl lettering and graphics, The vinyl graphics are normally reverse cut and applied on the inside of the glass panel. This prevents vandalism and gives a clean appearance from the outside of the window. Window signs utilising vinyl graphics are an excellent way to brand your business premise and to attract the attention of prospective customers in shopping areas, office entrances, etc. 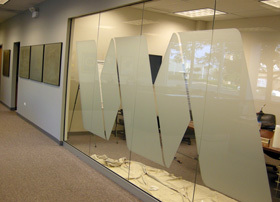 Crystal Signs can assist you in reproducing your corporate branding, designing an attractive layout, or creating areas of privacy by blocking out certain areas, or all of the glass panel. 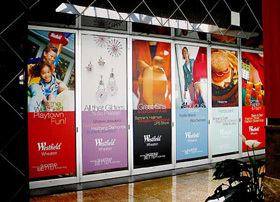 Static Cling film is a medium that can accommodate vinyl or printed graphics that attaches to glass without any adhesive. 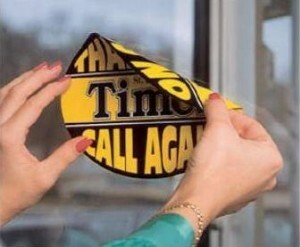 This is an excellent temporary or short term window signs solution. Wetting the static cling film panel, applying to the window and squeegieing out the excess water will give a nice finish. 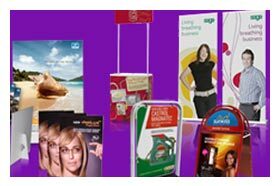 The static cling cling window signs can be profile cut to different shapes and double sided printed, for effective, functional window applications. Contravision window signs are an excellent way to get maximum exposure of your brand or service to your clients on your window areas. The great thing about Contravision or perforated window vinyl is that you still have good visibility when looking out of your windows from the inside of your shop or office. It also acts as an effective sun shade and adds additional safety in case of a broken window pane. Contravision window signs are made from a special type of that has hundreds of tiny holes in it. 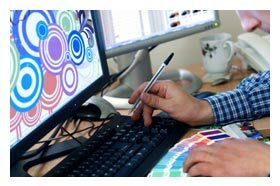 The front outer surface can be digitally printed with your company info and graphics. The rear surface has a dark coloured layer that facilitates viewing from the inside to outside. The overall effect is amazing, as the tiny holes or perforations are not visible when viewed from the outside, even from a fairly short distance. The vinyl is available up to 50 inches wide by any length, so large window panels can be catered for, with minimal joins. 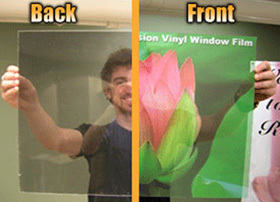 Crystal Signs presents to you “Frostfilm” for your window signs applications. 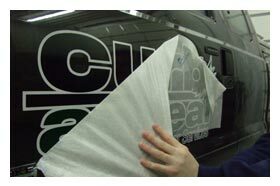 This specialist vinyl product offers a flexible, cost effective alternative to acid etching or sandblasting. Frostfilm Window signs allow a subtle, bespoke and sophisticated solution to overcome legal requirements regarding large glazed areas. Not only reinforcing brand and corporate identity but also allowing privacy without sacrificing natural light. Call Crystal Signs today on 011-823-1822 or Click Here and let us help you with your requirements regarding full length glass door safety concerns and window signs.